Aug 2017 – PsySR’s Anthony J. Marsella Prize for the Psychology of Peace and Social Justice is given annually to recognize outstanding psychology-based contributions in scholarship and action by an individual in one or more of the following areas: Peace and Nonviolence, Poverty, Human Rights, Humanitarian Assistance, Spirituality, and Social Action [US$ 1,000]. 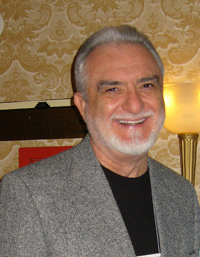 Antonio C. S. Rosa is the founder-editor of the pioneering Peace Journalism website TRANSCEND Media Service (TMS). He is also Secretary of the International Board of the TRANSCEND Network for Peace Development Environment and an assistant to Prof. Johan Galtung. He completed the required coursework for a Ph.D. in Political Science-Peace Studies (1994), earned a Masters in Political Science-International Relations (1990), and a B.A. in Communication (1988) from the University of Hawai’i in Honolulu. Originally from Brazil, Mr. Rosa lives presently in Porto, Portugal after 11 other countries of residence. As a victim of torture in 1964 Brazil’s military coup, he would dedicate the rest of his life to the cause of peace and nonviolence. Mr. Rosa has also translated or edited a number of books advancing peace: Peace Journalism: 80 Galtung Editorials on War and Peace (editor) – Cobertura de Conflitos: Jornalismo para a Paz (translation), Transcender e Transformar: Uma Introdução ao Trabalho de Conflitos (translation). 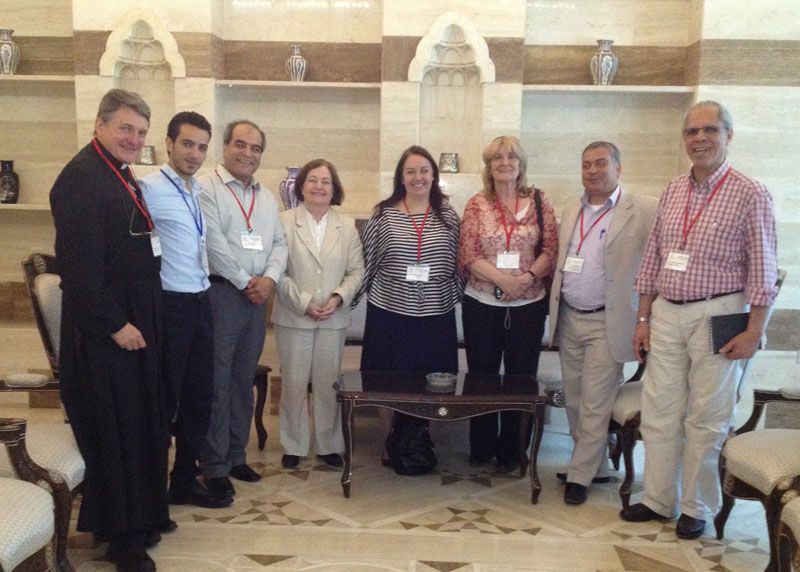 Peace Mission to Syria-Lebanon, 2013. Damascus Parliament House, audience with Syria’s Prime Minister. Antonio C.S. Rosa, far right, with TRANSCEND member, Nobel Peace laureate Mairead Maguire (center) and other delegates from around the world. Brad Olson is the current treasurer and 2012 president of Psychologists for Social Responsibility, and an Assistant Professor of Psychology and co-director of the Community Psychology Program at National Louis University. He also served as president of APA Division 48 (Peace Psychology) and is a co-founder and member of the Coalition for an Ethical Psychology. 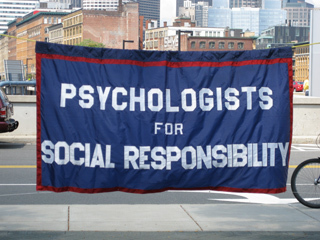 As is now widely-known, the six members of the Coalition made an outsized contribution to the struggle of psychology dissidents to bring accountability to the American Psychological Association for its collusion with government forces practicing torture. Anyone who knows Brad knows he is a force of nature. A magnet for attracting new active members to PsySR, he is also the member least likely to take a PsySR break, bringing input and enthusiasm not only to the torture issue, but also to environmental justice, racial justice, resistance to war and militarism, and the defense of academic freedom. His input and encouragement remain essential to holding the organization together and keeping it flourishing. Though known widely for being an essential player in the Coalition and PsySR, less known is the specific role he played in precipitating the conditions that brought the APA apologetically to its knees for allowing torturing U.S. government departments to dictate its ethics policy. Brad was the one who reached out to Scott Gerwehr, the CIA contractor cc’d on many of the emails passing back and forth between the APA, the DoD and the CIA. Brad was also the one who got hold of Gerwehr’s email treasure trove and passed it on to James Risen, the New York Times reporter. Risen’s reference to the APA controversy—and Gerwehr’s emails—in his book Pay Any Price forced the APA to investigate itself with the help of David Hoffman and his firm Sidley Austin LLP. And the rest is history. Olson’s paintings speak to the value of eruptive imagination. They reflect the art that can arise when people who escape classification as “artists” make room for the untamed flow of their consciousness while pursuing the other witness and work they devote their lives to. Olson’s work on all fronts raises appropriately psychological questions about the connection between creative, moral and professional inspiration. Does the muse guiding Olson’s art also dance with the muse guiding his work in community psychology and his witness against the horrific corruption of his profession by the cold mechanics of profit and power? 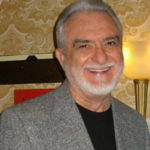 Anthony J. Marsella, Ph.D., a member of the TRANSCEND Network for Peace, Development and Environment, is a past president of Psychologists for Social Responsibility, Emeritus Professor of psychology at the University of Hawaii’s Manoa Campus in Honolulu, Hawaii, and past director of the World Health Organization Psychiatric Research Center in Honolulu. He is known internationally as a pioneer figure in the study of culture and psychopathology who challenged the ethnocentrism and racial biases of many assumptions, theories, and practices in psychology and psychiatry. In more recent years, he has been writing and lecturing on peace and social justice. 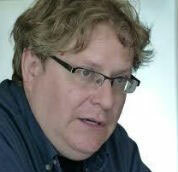 He has published 21 books and more than 300 articles, tech reports, and popular commentaries. His TMS articles may be accessed HERE and he can be reached at marsella@hawaii.edu. This article originally appeared on Transcend Media Service (TMS) on 4 Sep 2017. Anticopyright: Editorials and articles originated on TMS may be freely reprinted, disseminated, translated and used as background material, provided an acknowledgement and link to the source, TMS: TMS Editor Receives Prize for Peace and Social Justice, is included. Thank you. Congratulations for Peace award, Hope you will be considered for Noble Prise, you are doing greatjob for world peace. I just saw this, Antonio! Great! Hearty congratulations! Well-deserved! Thank you for your mighty contributions to World Peace! You guide us through the mazes. You make a difference. (Johan tells me I use too many exclamation points, so I should stop now…. But, I do feel like exclaiming:!!!!!!!!!!!!!!!!!!!!!!!!!!!!!!!!!!!!!!!!!!!!!!!!!! !, etc.